Designed to help car wax and sealants last longer and make future cleaning easier. This high gloss car shampoo provides a stunning finish, and works even if your car has never been waxed. It’s perfect for maintaining a showroom finish without compromising cleaning power. It is always best to pre-wash a paint surface prior to washing. 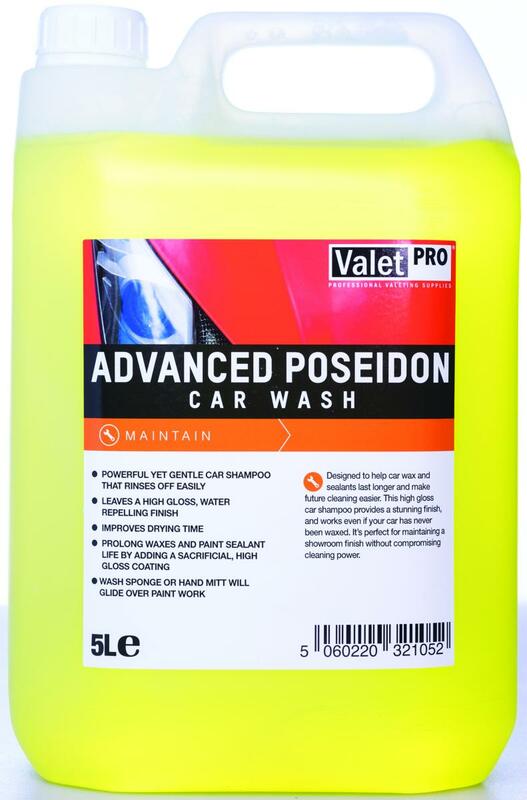 This process removes heavy grit and makes washing far easier and more effective.Once diluted in a bucket, wash vehicle from top to bottom. After each wipe of the paint surface, rinse your car wash sponge or wash mitt to ensure loose dirt and grit is removed. Once the whole car is shampooed rinse thoroughly. Water will start to sheet away from the paint surface aiding a quick drying time. Use a drying micro fibre cloth to clear remaining water. Dilution Add 10 to 20ml to every 5L of water. Precautionary Statements: Wash hands thoroughly after handling. Wear eye protection. IF IN EYES: Rinse cautiously with water for several minutes. Remove contact lenses, if present and easy to do. Continue rinsing. If eye irritation persists: Get medical advice/attention.